There are some Daily Challenges for us to complete on Club Penguin Island! 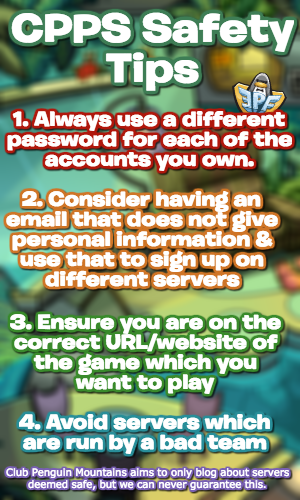 As always, here’s a little guide on how to do them! 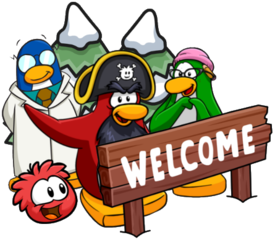 Head into Coconut Cove and go to the far left! Once this is done, stand underneath a waterfall so that your penguin can’t be seen. Then claim your reward! Unfortunately the picture of this didn’t upload properly. As a member, buy a food tray from a party supplies market. Then go back to Picnic Hill, open your inventory, party supplies and choose the food tray you used. Have people eat it. Eventually there’ll be only one of your food item left. When this is taken by someone, you will be able to claim your reward. Firstly, head over to the SS Convenience market in Coconut Cove and purchase some Squid Sticks for 15 coins. You only need one! Then head to Picnic Hill near the Zipline and the Wish Statue in Beacon Boardwalk. Sit on the picnic mat by tapping the orange interactive button and eat your squid stick that will be in your inventory. For this challenge, you need to harvest all the Coconut Trees in the Cove. There are four of these and to harvest them, simply waddle up to each one and tap the orange interactive button. Once you have harvested all 4 trees, you will be able to claim your reward. Images have been taken pre-1.2 update.